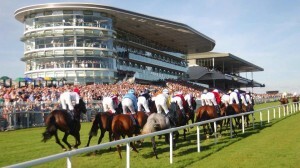 The Galway Races is an Irish horse-racing festival that starts on the last Monday of July every year. Held at Ballybrit Racecourse in Galway, Ireland over seven days, it is the longest of all the race meets that occur in Ireland. The Galway Races are such an intrinsic part of the local as well as national culture, it seems like they have been taking place forever. 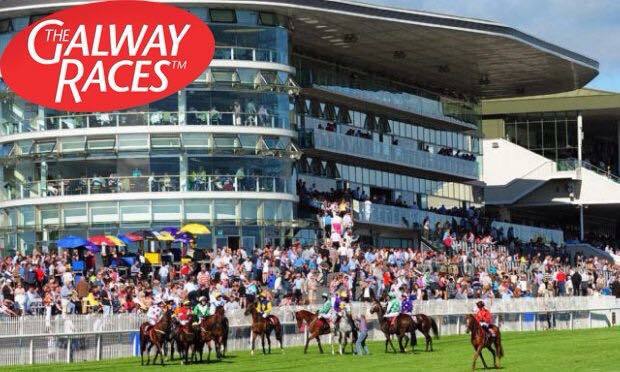 For many people the Galway Races are the event to go to and they are looking forward to it all year long. To some the main attraction of the event is the old friends and new people you get to meet, to others it’s the atmosphere of excitement and glamour, and to others still it’s the very passion for watching horses race and perhaps engage in a little betting. The busiest days of the festival are Wednesday, when the Galway Plate is held, and Thursday which is traditionally the busiest and most stylish day of the week-long Galway Racing Festival. Ladies compete for the coveted title of Best Dressed Lady or Most Elegant Hat. For those wih an interest in the past, the Galway Festival history is a fascinating one. Incredibly records exist that tell of horse race meetings in Galway as long ago as the 13th century, when ‘horse matches’ were organised under the ‘Kings Plate Articles’. Then in 1764 a horse racing festival took place near Loughrea in County Galway with the feature race being the ‘Plate’ A century later, the meeting had become more formalised and the feature race by then had become the Western Plate. Its entrants were confined to either those qualified for the National Hunt or the County Galway Hunt. The first racing festival held in Ballybrit was a two-day event with the first race meeting on Tuesday, 17 August 1869. The summer festival was extended to a 3 day meeting in 1959, 4 days in 1971, 5 days in 1974, 6 days in 1982 and, most recently to, 7 days in 1999. The summer festival is the highlight of the business year for most local businesses as crowds and horses flock from all over the world to attend one of the world’s biggest race meetings. The pub underneath the Corrib Stand, built in 1955, was for many years the longest bar in the world. It was replaced by the Millennium Stand which opened in 1999. The Killanin Stand opened in 2007 replacing the old Corrib (west) Stand. On the 4th day of the Galway races there was a race meeting held in Tuam. The last races held in the Tuam race course was in 1973. Additional race meetings also take place in September and October, but these are not as popular as the summer festival, which draws more than 150,000 spectators. Summer Meeting. Monday 27th July – Sunday 2nd August. September Meeting. Monday 7th September – Wednesday 9th September. October Meeting. Sunday 25th October and Monday 26th October.